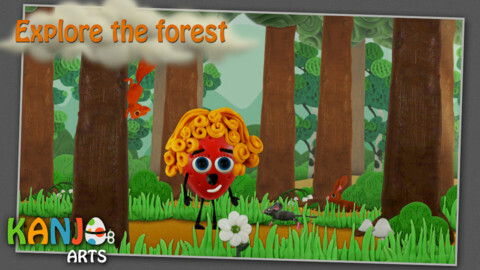 The Berry Forest app is almost like a virtual produce stand for the iPad. 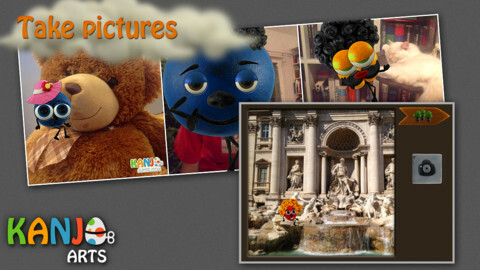 Featuring a cast of four plump berries, this playful app offers easy and open-ended game play perfect for the 2+ crowd. There are no words to read, time limits, or complicated levels to navigate – simply tap and swipe to pay. The jazzy music playing in the background is a soothing soundtrack to enjoy while playing. Players can choose one of three pre-adorned berries with faces, hair, and all four limbs. They perch on tree stumps waiting to be “picked” to venture through the forest, walking along side ladybugs and crows, and stepping over flowers and under birds’ nests. 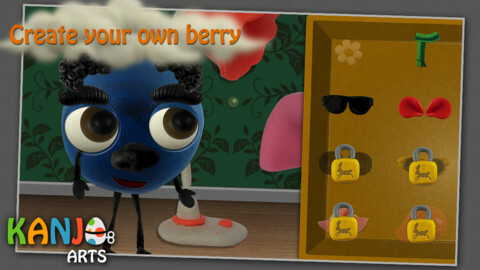 Watch as your berry travels down the tree/elevator combo and he walks right in to a poshly decorated underground bunker where accessories can be customized and pictures can be taken using the iPad’s camera function. Tapping on the wildlife unlocks new styles of accessories for your berries, and climbing up the beanstalk opens puzzles in three progressive skill levels. Berry Forest was wonderfully simple for my 2-year-old to play independently, and she loves app characters that she can customize. Just recently she’s discovered the true joy of taking (out-of-focus) pictures of random things using the iPad. You can imagine her delight when she figured out how to put her one-eyed blueberry in the middle of a shot of her favorite red shoes. We made this game an iPad Kids All Star because it’s lots of fun, easy for even the youngest player, and it encourages creative and imaginative play. For a limited time the download price is $0.99 to celebrate the app’s launch. That’s a smile price to pay as the app can offer hours of free play without the impediments of time limits, points, or in-app distractions. This fresh-picked app is “berry” fun!